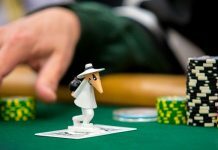 Casinos invoke images of big money jackpots, the most high-end and exclusive versions of everything from drinks to clothes, and nights of lavish abandon. Unfortunately, the finer things in life have not been a reality for many Native Americans. So, many tribes have been plagued by a much higher poverty level than the national average in the United States, throughout history and today. With the advent of casinos on Native American land, however, many doors that so many thought were closed have been opened. Aspirations are no longer distant. Today, some Native American tribes are raking in the cash by providing the high-end atmosphere and excitement that so many people crave on their let-loose weekends. Listed are a few tribes that have truly capitalized on their casinos and hopped onto the gravy train – specifically, the richest Native American tribes who own casinos. California brings in more revenue from Native American casinos than any other state in the United States, by a wide margin. In fact, based on the latest data available, California sees nearly twice as much Native American gaming revenue as the next most profitable state. 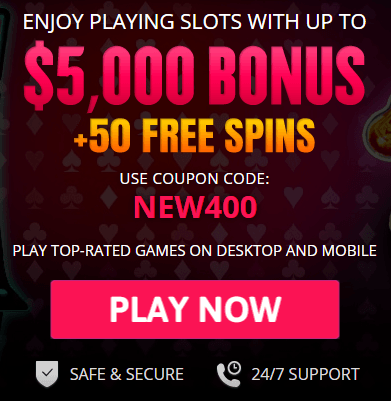 In such a thriving gaming economy, the largest casino is the Pechanga Resort and Casino, which is operated by the Pechanga Band of Luiseño Indians. The tribe broke ground on the casino in 2001, and, today, it features an impressively large complex that includes the casino as well as a bingo hall, hotel, convention center, showroom, cabaret lounge, and golf course. There are also seven unique restaurants. The Pechanga Band of Luiseño Indians has traced their lineage back more than 10,000 years. They originated in the Temecula Valley in Southern California, located about halfway between Los Angeles and San Diego. This particular band of Native Americans is one of six in the Luiseño tribe, all of whom are from nearby areas in California. For the Pechanga people, their successful casino has become a core part of their thriving economy. Not only are they bringing in revenue, but they’re providing jobs for their tribe members in need and setting up their future generations for success. Another state with a thriving gambling scene is Connecticut, and it’s no surprise considering how close it is to the bustling population of New York City. One of Connecticut’s most noteworthy economic contributors is the Mohegan Sun Resort and Casino, operated by the Mohegan Tribe. The facility is so much more than a casino. 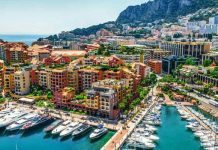 In fact, it’s an entire entertainment destination that includes three casinos, more than forty dining and drinking locales (including restaurants, bars, and lounges), a 10,000-seat arena, a more intimate concert venue called the Wolf Den, a comedy club, and two high-end hotel towers. The Mohegan Tribe is an independent nation located along the banks of the Thames River, just south of Norwich. The tribe is known as The Wolf People, drawing inspiration and strength from the nature around them. While they have lived in the region for hundreds of years, the Mohegan Tribe officially received recognition as a sovereign nation from the U.S. government in 1994. The tribe has been enjoying great success primarily in the gaming industry and is now offering seven unique facilities in addition to the famed Mohegan Sun. Continuing on through Connecticut, we head next to the Foxwoods Resort and Casino – a high-end casino that has become famous as a getaway for New Yorkers. 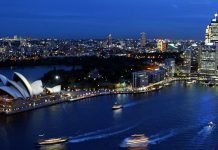 The casino itself is the main attraction, showcasing everything from slot machines to poker to race betting, as well as the innovative format of arena-style electronic gaming. However, Foxwoods has much more to offer. The complex offers more than 35 dining and drinking venues, as well as an ornate shopping area and outlet mall. There are also comedy clubs, nightclubs, a spa, a golf course, a bowling alley, an arcade and even outdoor recreation. And, because you simply can’t enjoy everything in one day, Foxwoods also offers five different hotels, each with its own features and charms. 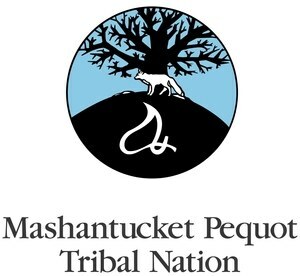 The Mashantucket Pequot Tribe has a complex history. It originated on and around the oldest Native American reservation in the United States. In addition to Foxwoods, which started as a bingo hall in 1986, the Mashantucket Pequot Tribe now owns and operates a number of successful hospitality and entertainment properties. We’ve seen successful Native American casinos in the western United States and the Northeast, Now, we head south to Florida. The Seminole Tribe of Florida has an incredibly varied portfolio of gaming facilities all across the state, including The Hard Rock Hotel and Casino in Tampa, its same-name counterpart in Hollywood, Hollywood Seminole Gaming (the first high stakes Bingo operation in the country), The Brighton Seminole Bingo and Gaming Casino, The Seminole Casino in Immokalee, and their newest addition, The Coconut Creek Casino. The Seminole Tribe of Florida is incredibly widespread, with six reservations throughout the state. Their properties stretch as far north as Tampa and as far south as Hollywood, including areas in Brighton, Fort Pierce, Big Cypress, and Immokalee. Today’s Seminole Tribe of Florida includes descendants of Native Americans from a number of areas throughout the Southeastern United States, including Georgia, Alabama, South Carolina, Tennessee, Mississippi, and primarily Florida. 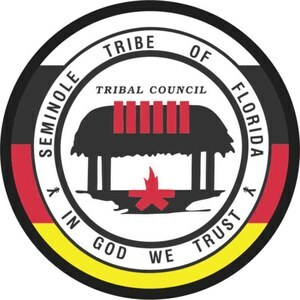 As a political entity, the Seminole Tribe of Florida was formed in 1957, and in recent years, the tribe has used its talents and land to bring prosperity to today’s tribe members and future generations as well. As the wealthiest Native American tribe in the United States, the Shakopee Mdewakanton people have truly capitalized on everything they have to offer. They own the impressively large Mystic Lake Casino Hotel, the largest entertainment complex in the state of Minnesota, in fact, as well as a smaller venue called the Little Six Casino – a perfect destination for people who want a more intimate, low-key setting. As successful as these casinos are, the tribe also owns and operates many other enterprises, including event centers, golf courses, hotels, shopping centers, environmental support facilities, etc. This diversified list has brought fame and fortune to the Shakopee Mdewakanton people, who were reported to be making $1 million per tribe member in recent years. The Shakopee Mdewakanton Sioux Community is located in Minnesota, just outside the Minneapolis metro area. As part of the Great Sioux Nation, this particular tribe originates from the Dakota people. The tribe has had a long-standing respect and harmony with its natural surroundings, and as part of this mission, it has contributed much of the casino and entertainment profits toward environmental conservation. While the Native American people in the U.S. have endured centuries of hardship and are still on a healing path, the opportunity to prosper with casinos can be a bright spot in their outlook. It allows them to make life better for today’s tribe members, tomorrow’s new generation, and the many Native American people to come. Next articleIs Virtual Reality the Future of Casinos?